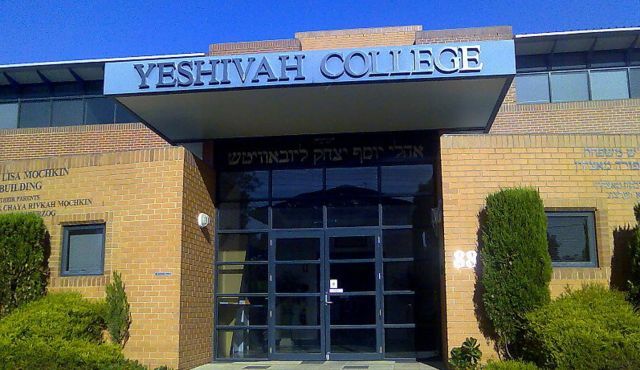 Yeshivah College in Melbourne, Australia, where the alleged cases of child sexual abuse took place in the 1980s and early 1990s (photo: Wikipedia Commons). A week from hell. That’s how dark these past seven days have been for the Australian Jewish community. The hearings at the Royal Commission into the child sexual abuse scandal have been suffused with acrimony and accusations, tragedy and trauma. Unsurprisingly, the damning testimonies and explosive admissions have fuelled a barrage of bad publicity – in print, on radio, TV and online, where details of the sordid scandal are being streamed live. The government-sponsored commission is probing how leaders of Melbourne’s Yeshivah Centre and its Sydney counterpart responded to multiple claims of sexual abuse at both Chabad institutions in the 1980s and 1990s. David Cyprys and David Kramer, former employees at Yeshivah in Melbourne, were convicted and jailed in 2013; Daniel “Gug” Hayman, a one-time director of Sydney’s Yeshiva, was convicted in 2014 with a suspended sentence. “I’m prepared to say that Rabbi [Boruch] Lesches lied when he said that he didn’t know about the abuse,” Gutnick told the commission last week. Lesches, who now lives in America, was a senior official at Chabad’s headquarters in Sydney at the time of the abuse. It is understood he will not appear before the commission despite attempts by Australian officials to bring him in. • The Executive Council of Australian Jewry described statements at the hearings by Rabbi Yossi Feldman, of Chabad in Sydney, as “repugnant to Jewish values” and called his position “untenable” after Feldman made several admissions to the commission, including that reformed pedophiles are not a threat to society and that the law should be lenient on pedophiles who have refrained from abusing children for decades. In his post, Kennard also revealed that he resigned from the Rabbinical Council of Victoria in 2013 in protest over its silence following the conviction of Cyprys. • Australian Jews vented their anger, especially on social media. That’s just the tip of the proverbial iceberg. The bad news is unlikely to get better, with senior figures at Chabad in Melbourne due to appear later this week, including Rabbi Avrohom Glick, principal of Yeshivah College when Cyprys and Kramer committed their crimes.